We are very excited to be able to provide fantastic facilities with 5 tennis courts, 3 grass and 2 competition standard hard courts with disabled access. There is a booking diary that is held in a box outside the reception of the Werri Beach Holiday Park, 1 Bridges Road Gerringong. Please book into the diary and collect the key for the courts and electricity box. 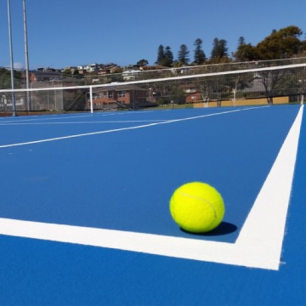 Please note that Werri Beach Holiday Park is not responsible for the courts and Gerringong Tennis Club is run by a dedicated group of volunteers.